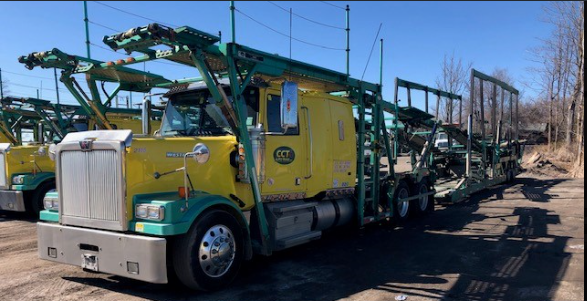 2000 Peterbilt 379, 550 HP Detroit Engine, 140, 000 miles after engine overhaull, 2000 High Rail cottrell trailer, New Brakes, All tires are new. Truck is in great shape and currently is running under United Road contract lease. Important to say this truck does not require Electronic Logs. Asking price US$60,000.00 or Best Offer. 2000 Peterbilt 379, 550 HP Detroit Engine, 140, 000 miles after engine overhaull, 2000 High Rail cottrell trailer, New Brakes, All tires are new. Truck is in great shape and currently is running under United Road contract lease. Important to say this truck does not require Electronic Logs. Asking price US$60,000.00 or Best Offer. Cottrelltrailers.com is the ideal way to market your used car haulers to an audience of highly qualified buyers. Your ad will run free for 90 days and any inquiries will be forwarded directly to you. 2007 cs12 stinger, strap converted, good brakes and tires, solid, run 99% of its life in no salt Asking $15k O.B.O. Car hauler with stinger. In great shape.